Jumping into a round of burpees would be daunting to, well, anyone really. Let alone a new mom. Thank goodness for pre/postnatal corrective exercise expert Joanie Johnson. Together with fellow mom, Carolina Gunnarsson, she started Fit Pregnancy Club in NYC’s Soho neighborhood—a studio dedicated to helping women stay fit throughout their pregnancy journeys, including post-birth. “Reconnecting to your core and improving your posture is the secret to regaining total-body strength and functionality after having a baby,” says Johnson. Her popular “Postpartum Rehab” full-body workout targets the entire core, from the diaphragm to the pelvic floor. For our friends who reside outside the city, we had Johnson put together a custom Cov set that’s just as “easy” to do at home. We know being a baby-momma is already real tough—after all, her body just did something pretty damn miraculous. Adding this seven-move post-pregnancy workout—together with stroller-pushing, baby-carrying, and sprints to and from the baby’s room—will have her body feeling even stronger in no time. Benefits: Improves posture by training your core to support proper spinal alignment. Benefits: Improves pelvic stability and overall posture. Benefits: Trains postural muscles for bottle-feeding/nursing. Tip: Don’t shy away from the 8 lb. weights! The average newborn is seven and a half-pounds. Build up that strength for all of the heavy lifting in your future. Benefits: Creates muscle memory to engage the core and pelvic floor for lifting your baby. Benefits: Trains the arms and inner core to protect the lower back while lifting your baby. Benefits: Trains the muscles to support up-and-down movement while holding your baby. 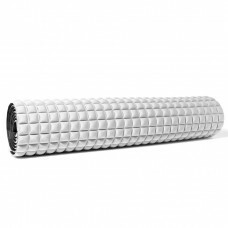 Benefits: Strengthens hips and glutes to prevent back strain.